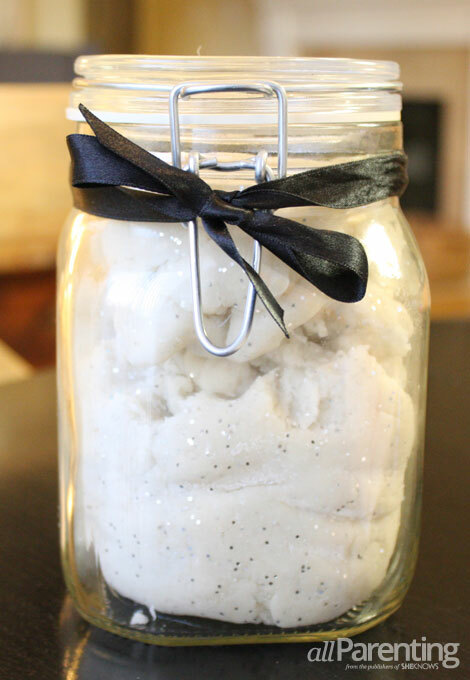 A dash of glitter and a drop of peppermint make the perfect combo for this sparkly snow play dough. Fun for the kids to make and play with, homemade play dough gets a holiday upgrade with the addition of glitter and peppermint. 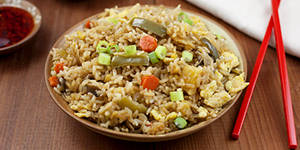 This recipe makes enough for four small batches and is perfect for giving this holiday season. Combine all ingredients except glitter into a pot. Cook over medium, stirring constantly until the dough starts to form a ball. 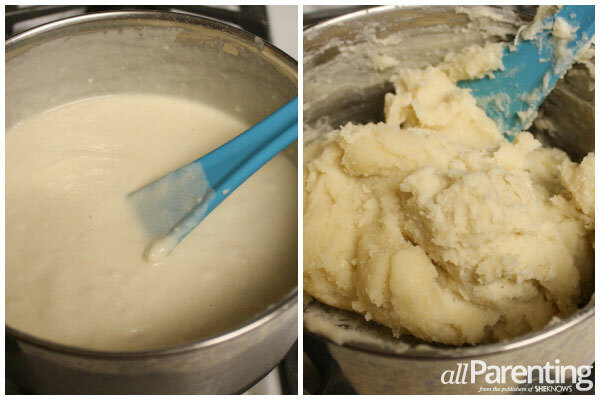 Once it reaches the consistency of play dough, remove from heat and immediately place dough onto a flat surface to cool. Allow to cool several minutes until dough can be handled. 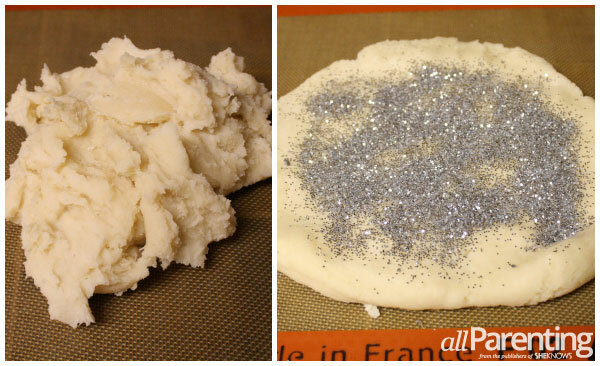 Having let the dough cool, knead it several times until it becomes soft, then flatten softened dough and sprinkle a small amount of glitter onto the surface. Kneading the glitter into the dough, continue to add the glitter a bit at a time until all of it has been incorporated. 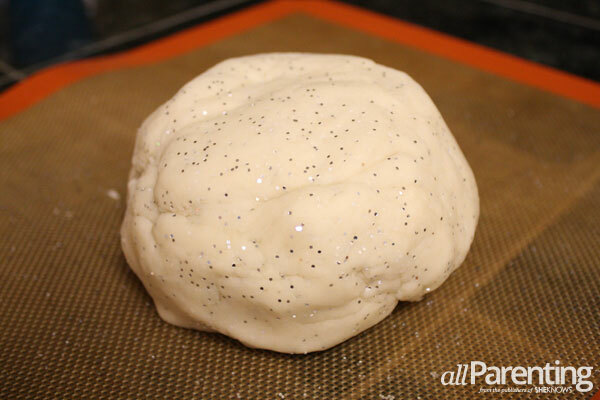 Store your dough in an airtight container until ready to use!